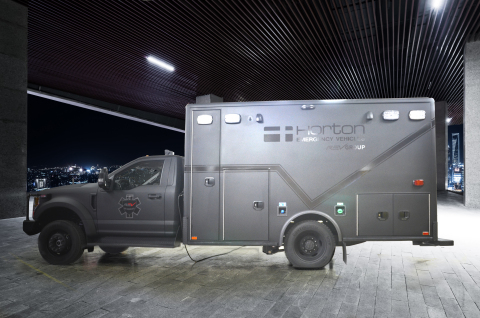 REV Group has announced recently that they now offer an ambulance with 3 levels of ballistic protection. Wrapped in Level IIIA, run flat tires and bullet resistant windows this ambulance can apparently protect those inside from bullets. This Ambulance is simply completely unnecessary. Let's just leave aside that this unit would not qualify as a legal "AMBULANCE" in most, if not all states, meaning no reimbursement for transport and the weight alone means more often replacement of the chassis. I jumped on Facebook to share the image and brief story from BusinessWire.com with the comment "SMH. S.M.H." I did not expect what happened next. One of the comments mentioned that this was needed because ambulances being shot at was so prevalent. Another comment questioned that claim and the game was on. Then the EMS Rev jumped in... The EMS Military Industrial Complex. Yes, we have a man of the cloth on our side. My terms, not his, but it'll do for this conversation. Could a TEMS unit deploy this? Sure, but why? Why are we armoring a reclined cot ambulance? What's next a gurney with riot shields? This is a timely deployment of a tacticool product during a time when Chiefs and City Managers are under the impression war is about to break out and everything needs to be dark, velcro, and have the term tactical on it. Why aren't police cars already protected this way? Shouldn't the folks actually getting shot at on a semi-regular basis get the protections in this vehicle? I can think of dozens of better ways for an EMS system to spend their thin budgets than on this marketing ploy. Because of its dark color, that ballistic ambulance would be less safe than a regular ambulance. Ambulances are far more at risk of crashing than they are at being shot at.